Mom Knows Best : Save $100 on family-friendly Hawaii vacations with Pleasant Holidays - USFG's new travel partner! I am so excited! I just learned that US Family Guide has partnered with Pleasant Holidays, a leading provider of package vacations. They're based in the U.S. and have great deals on family vacations worldwide - Hawaii, contiguous United States, Canada, Mexico, Caribbean, Costa Rica, Europe, Tahiti, Fiji and more. They can also book complete cruise vacations with airfare, onboard accommodations, and pre- and post-cruise hotel stay for vacations where everyone can relax and enjoy. They've currently got a great deal on Hawaii vacations that can save you $100 per booking. Select from 26 hotels and resorts on the four most popular islands: Oahu, Maui, Kauai and island of Hawaii. Explore the exciting sights of Oahu, including world-famous Waikiki Beach and historic Pearl Harbor. Watch the sun rise from the slopes of a dormant volcano on Maui. Snorkel, hike, kayak, surf, experience Polynesian culture and more. This deal is valid on new vacations booked by 10/30/16 for select travel through 6/30/17 that include roundtrip airfare from the continental United States and a stay of five nights or longer at a participating hotel or resort. The $100 savings is per booking and taken at time of booking - no waiting! For more information or reservations visit www.PleasantHolidays.com, call 1-800-837-5154 or contact your travel agent. 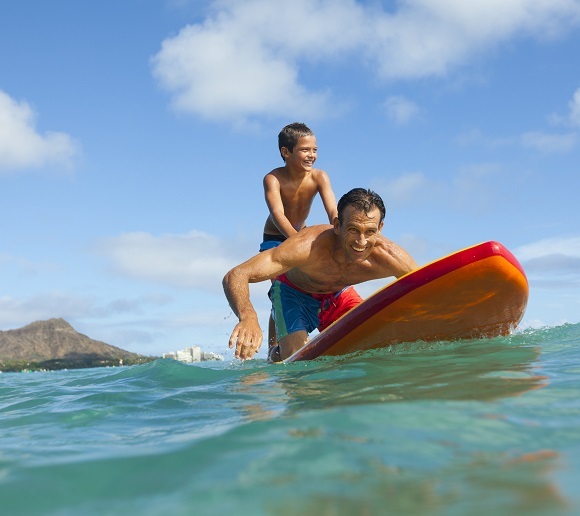 Save $100 on a Hawaii vacation with #PleasantHolidays! Hurry - must be booked by 10/30/16.